So that’s that. The term is over. The warm weather has made it feel long over due. Last June and July we made the mistake of committing to lots of things, forgetting that we really do have the best weather over these two months and August is almost always a washout. This year we stayed non-committal and as a result have been able to spend weekends at the beach and beside rivers in shady glades. Still, the kids were ready for the holidays weeks ago. It has been a struggle to get them through the last bit of term: their hearts already turning from thoughts of sums and spellings to rockpools and icecream. ‘When Anne got home that night she stacked all her textbooks away in an old trunk in the attic, locked it, and threw the key into the blanket box…. Next week we will be away in Wales for our hols having a “real, good jolly time” so no post from me but I will be back the week after. 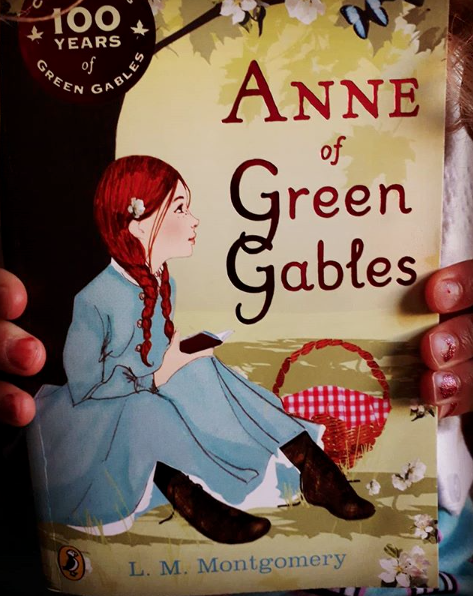 This entry was posted in Family and friends and tagged Anne of Green Gables, beach, end of term, imagination, L. M. Montgomery, river, shady glades, siblings, summer, warm weather. Bookmark the permalink. Hope you’re enjoying Wales & the weather’s holding up for you. It’s broken here much to our local relief & that of the lawn though ours has survived with some Molly coddling. Remember my introduction to Anne – the TV series many years ago.